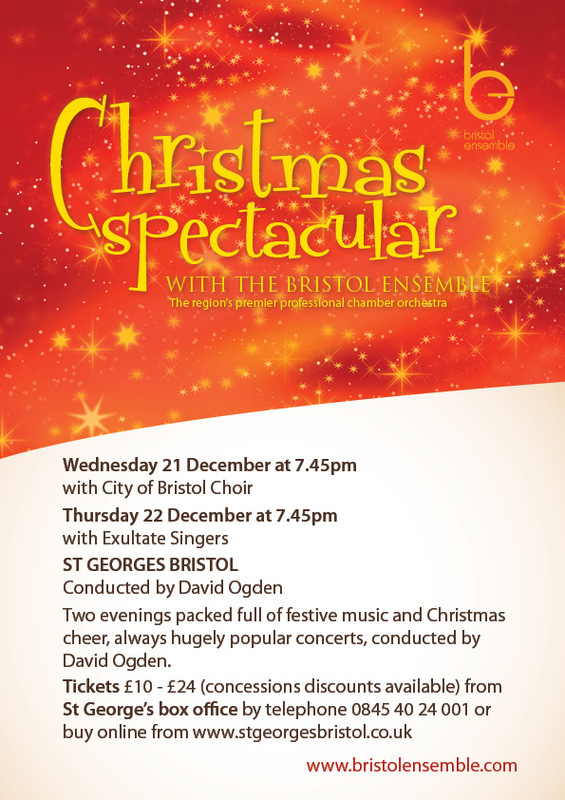 David’s composition, with words by Anna Farthing and Eugene Byrne, will receive a royal audience when it is sung at Bristol’s M Shed museum on 14th December 2011. The Princess Royal will officially open Bristol’s new museum when she visits the city next month. The Bristol Song was written for the opening of the M Shed in June, and was sung by a choir of over 150 children from primary schools all over Bristol, who will be getting together again to sing to the princess. 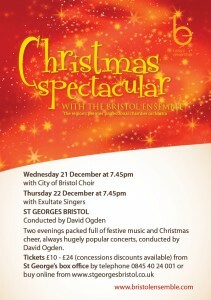 Wednesday 21st and Thursday 22nd December 2011 at 7.45pm Two glorious evenings of Christmas celebration conducted by David Ogden. 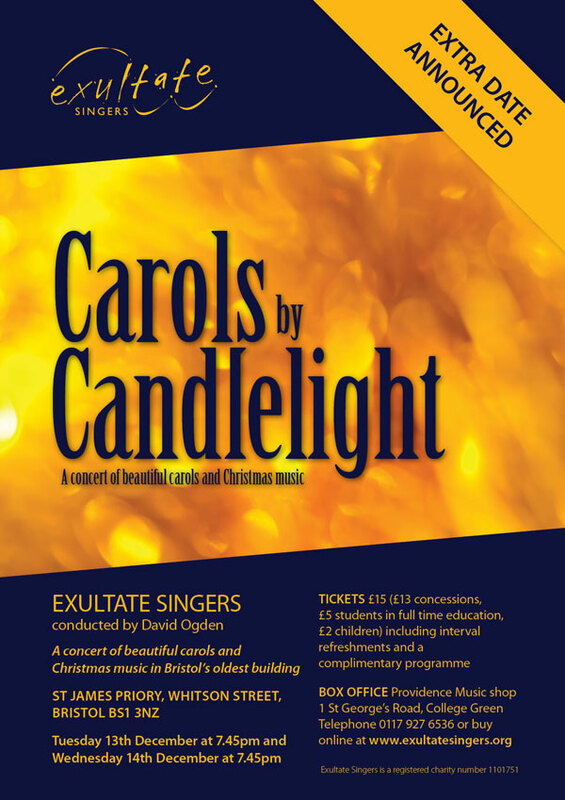 The Bristol Ensemble is joined by City of Bristol Choir on Wednesday and Exultate Singers on Thursday for a festive-themed extravaganza of warmth, passion and bonhomie. 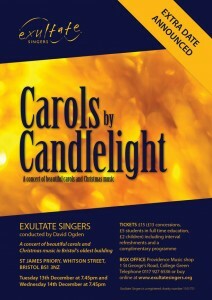 With Christmas music, audience carols and seasonal readings, this is a uniquely moving mixture of revelry and reverence.